After working as a saxophonist and vocalist with many bands and local artists, Paul has focussed his energies to create this new exciting project. Expect to hear standards and popular songs given a surprising and refreshing contemporary Jazz treatment as well as choice modern jazz covers and entirely original material. The music has been created to honour the mood and meaning of the songs themselves, at times deeply arranged and always intended as a vehicle for expression and creativity. 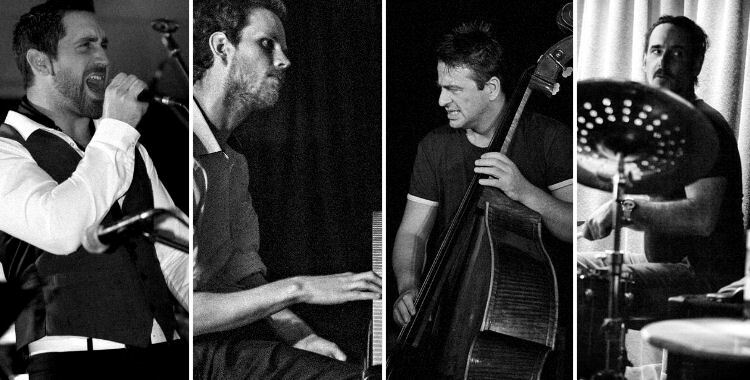 Comprising of local legends; Damian Rodd (Drums), Matt Tradget Johns (Piano) and Tim Greenhalgh (Double Bass), Paul leads the group on both Vocals and Saxophone. It is easy to hear how each ‘instrument’ has influenced the other, with Paul’s lyrical saxophone lines, and his singing and vocal soloing being steeped in well ingrained jazz language and instrumental style explorations. This dynamic band exudes energy, emotion and spontaneous creativity throughout the set.